Close friends and family know that I rarely — if ever — shop online, especially for things like clothes and shoes. It’s not because I’m a technophobe, of course (I can hardly afford to be one, in my line of work), but because I simply prefer to get a sense of the fit of a piece of clothing before I drop any amount of cash on it. So when online brands get pop-up stores of their own, I’m beyond ready to get out there and check them out. After all, pop-up stores mean that I get more variety without having to risk potential bad investments or worse — hefty shipping fees just to return a badly made piece of clothing. 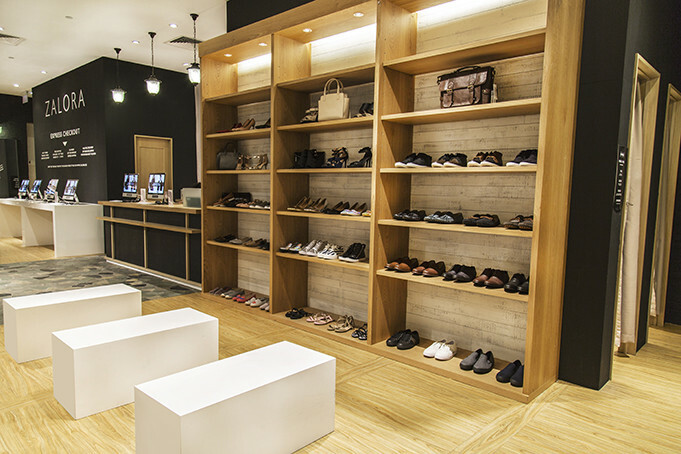 Late last year, Zalora launched their first ever pop-up store in Singapore. It was located at ION Orchard, and was open for business all the way till earlier this year. This makes the Bugis+ pop-up the second time that Zalora has opened a retail space. 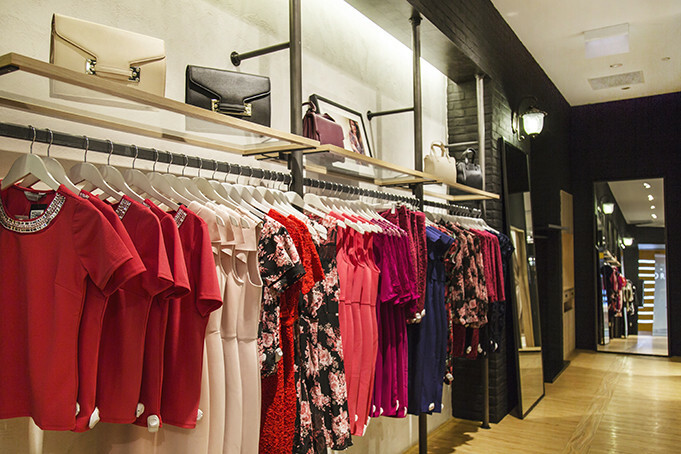 With the wide variety of brands — both in-house and international — on the Zalora website, you might be wondering how they’re planning to bring all of that into a rather more limited retail space. The answer: by creating a carefully-curated range of products, which showcase the best of what the brand already has online. 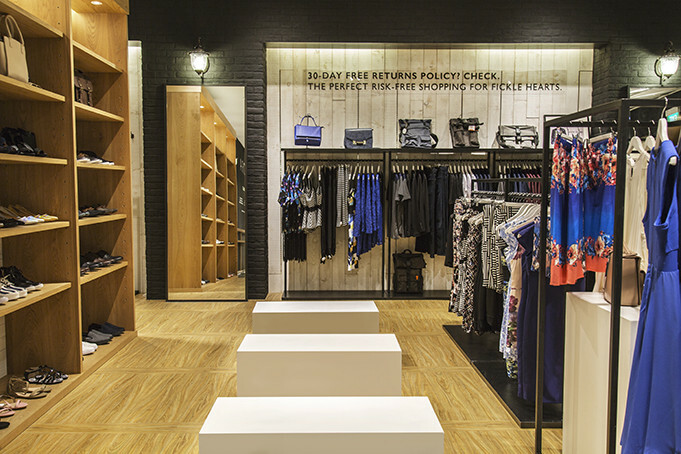 Yes, unlike usual retail outlets which only have a single price tag on their apparel, the clothes at Zalora’s Bugis+ pop-up store will have two codes. One is a typical barcode that will let shoppers make purchases immediately at the Express Checkout counter — a feature that the ION Orchard pop-up did not have. The second is a QR code, which buyers will be able to scan via the Zalora app on their personal mobile phones. This will give buyers the option to add items to their online shopping carts or wishlists, and have them delivered straight to their doorstep should they decide to buy it after they’ve left the store. What can I say? Zalora clearly knows the way to a savvy shopper’s heart. With the free WiFi, shoppers will be able to scan the above-mentioned QR codes, and add items to their virtual shopping carts if they remain undecided about certain products. If you were thinking of using the computers to surf the Internet while waiting for friends, though, or worse — shop from other online boutiques — shame on you. If, like me, you simply can’t see yourself making a purchase without first trying the pieces on, you’d be glad to know that the Bugis+ pop-up will allow you to collect online orders at the shop itself. This means you can try on your pieces immediately after collecting them, and make exchanges on the spot, if necessary.